My artwork is an exploration of my inner life, my thoughts and my imaginings, and how they negotiate their way into the world in which I live. 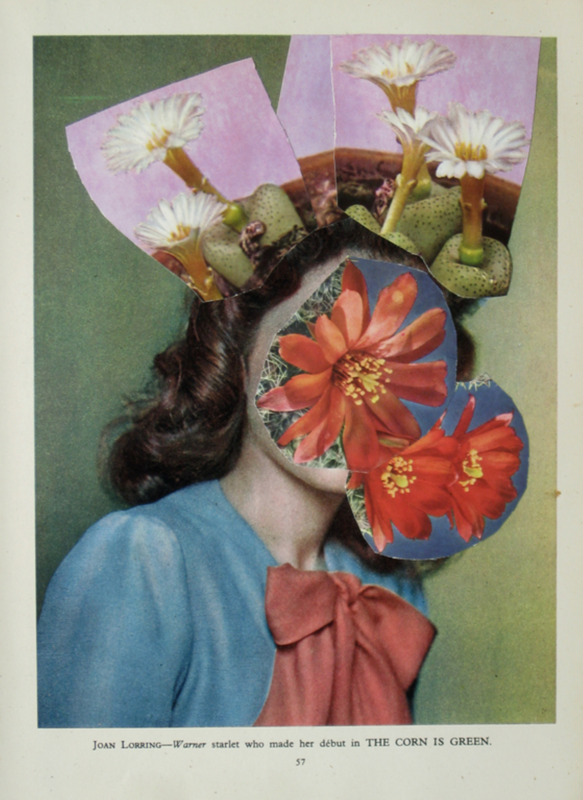 I often pose questions with limitations to create a piece or series, the ‘what ifs.’ What if I made a series of collages using every image in an old book that’s falling to pieces and ask of myself, what might happen if the way women posed felt like flowers. Or, what if I made couplings, matches, between one found moment in time and another, what might happen when one magic moment butts up against another. Or, what if a dog and a girl became a new creature, a dog girl. Or, what if I disrupt this provocative image of a woman with a blancmange. Over the course of time I try to make objects that feel re-discovered and are ready to take up a significant place in the world after much rejection, after a lifetime at sea, after a lifetime of obscurity on the scrap heap. I trust in play. I mess around and follow my inclinations. Try to create a parallel universe one object at a time.